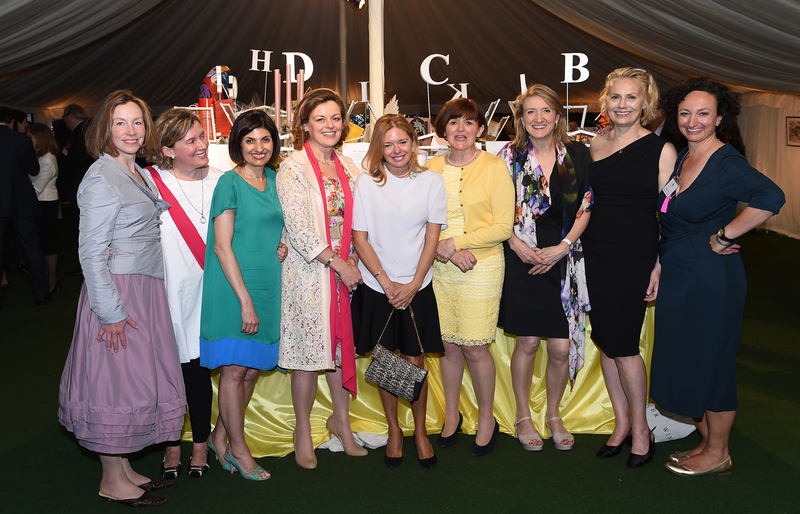 Months of hard work by the Parents’ Events Committee, headed by Aisling Sykes and her deputy Helena Stranack, bore fruit when 300 gathered in a huge marquee in Meads. After welcoming speeches from the Director, Tamara Templer and the Headmaster, the guests tucked into a delicious dinner while being cajoled into bidding for the auction, with gadgetry provided by Jumblebee, and the 11 house raffle prizes, all generously donated. Entertainment in the shape of a singing cook and two waiters (we were fooled for but a moment) stirred up the audience—a conga was danced and napkins waved. All were agreed that it had been an excellent evening and over £50,000 was raised towards the improvement of the School’s sporting facilities.